Pete Davidson has addressed gossip about his relationship with Kate Beckinsale and insisted he isn't "bothered" by their age gap. 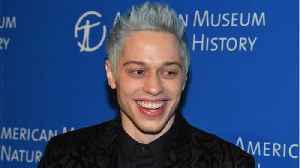 Pete Davidson not bothered by age gap between him and Kate Beckinsale The 25-year-old comic has been growing close to the 45-year-old actress in recent weeks but can't understand the fascination with.. In case you missed it, here's what's trending right now: Jennifer Lopez says yes to Alex Rodriguez's marriage proposal, Lea Michele ties the knot with Zandy Reich and Pete Davidson defends age..
ExtraTV reports Pete Davidson has finally spoken out on his relationship with Kate Beckinsale, 20 years his senior.